One more show added to the UK tour. Fever Fever #2 på tracks! I dag direktsänt ifrån Åre! Vi kör två låtar live. Dont miss... Ca tider är 09:45 & 11:25! Constantly on the road! 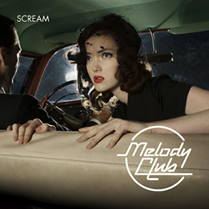 Check out the tour section and find out when Melody Club is coming to blow up your town. My Space is a great place to hang out! Sign up now and meet other Melody Club fans from all over the world.